Ace French punks GUERILLA POUBELLE have announced a series of UK and European dates next month. 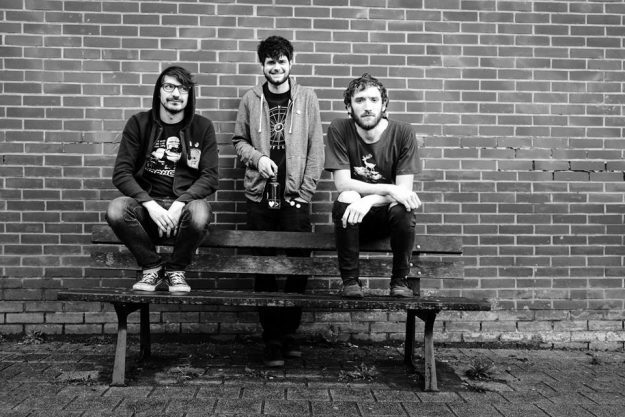 The Paris trio, whose name translates as ‘Dustbin Guerilla’, head out on a co-headlining tour with Wisconsin’s ARMS ALOFT throughout April and May including shows in London, Manchester, Cardiff and Canterbury. To whet your appetite, they’ve released a new video for the track ‘Golgotha’ from their 2017 album La Nausée, utilising footage from John Carpenter’s They Live! ‹ THE CHURCH ANNOUNCE LONDON DATES!